When It Comes To Sports Betting, Will PA Be At A Disadvantage? When It Comes To Sports Betting, Will Pennsylvania Be At A Competitive Disadvantage? 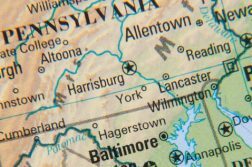 Pennsylvania is one of a plethora of northeastern states positioned to capitalize on last week’s US Supreme Court ruling that effectively struck the federal ban on sports betting (PASPA) from the ledger. Ahead of the decision, Pennsylvania legalized sports betting as part of a broader gambling expansion bill, which also opened for the door for legal online gambling, an online lottery, and video gaming terminals at truck stops. With 12 land-based casinos (soon to be 13), Pennsylvania plays host to the country’s second largest casino industry, trailing only Nevada. It’s also one of the biggest professional sports markets, and home of the reigning Super Bowl champs. Undoubtedly, wagers out of Pennsylvania comprise a significant portion of that $150 billion illegally bet on sports each year that the American Gaming Association likes to toss around. So, sports betting in Pennsylvania should be a slam dunk for the state, right? On paper this appears to be the case, but the reality is a bit murkier. Although only a handful of states are rushing to the starting line, most of them are situated in the northeast. Neighboring New Jersey has aims of passing sports betting legislation by June 7, and plans to take the first bet that same month. Delaware is positioned to go live even sooner, and West Virginia is poised to have sports betting regulations in place by early September. Both New Jersey and West Virginia plan to offer sports betting through online and land-based portals. Then there is New York, where gaming regulators plan to take things into their own hands, pending lawmakers fail to place a more comprehensive law on the books by the time the session ends on June 20. Under existing law, bettors would only be allowed to place in-person wagers at the state’s commercial casinos. The new law being proposed would open the door for both horse tracks and tribal casinos to take bets, and possibly for mobile wagering. Stuck in the middle is Pennsylvania, which has a sports betting law in place but has yet to see regulations put in place that will govern the industry. When we’ll see those regulations is something of an open question, as with the recent gambling expansion law, regulators already have a lot on their plates. Even in a best case scenario it could be months before the first wager is taken. Yet despite regional competition and being late to the party, it’s difficult to envision too many native Pennsylvanians traveling out-to-state to place bets (outside perhaps the occasional jaunt to the more tourist-friendly Atlantic City) once its industry goes live. Casinos in Pittsburgh and Philadelphia appear particularly safe, as they are home to millions of rabid sports fans. However, all of this assumes that the sports offering in Pennsylvania will be as high quality and widespread as those in other states. Under current law, that’s a mighty big assumption. Unlike neighboring states, and really just about any state that has/is crafting sports betting legislation, Pennsylvania is imposing sky-high licensing fees and taxes on potential operators. Even in the absence of integrity fees paid to professional sports leagues, PA is looking at an effective tax rate of over 40%. The rate itself doesn’t exactly surprise, as PA taxes its land-based slots at 54%, the highest gambling tax rate in the country. However, coupled with a $10 million licensing fee and the already razor-thin margins sportsbooks enjoy, it makes for an inhospitable environment for operators, who may be reluctant to dive in headfirst. That would be quite the departure for Pennsylvania, as the latest bill out of New Jersey only imposes a 9.25% tax on land-based and a 17.5% tax on online. Operators may offset the high cost of running its business by charging a higher vig, driving players to neighboring markets. Casinos may say no to sports betting all together, leaving PA players with fewer options and thus forced to travel out-of state. However unlikely, there are scenarios where PA lawmakers do not revisit the operating fees and the land-based industry flounders. But there’s still always online, right? There are problems there too. Not only would the same outrageous fees plague the online industry, but there’s at least a chance it’ll be hindered in other ways. In addition, online gamblers will not be able to access online sites from land-based casino floors. Now, none of these regulations have been applied to online sports betting just yet, but we have to suspect that they’re at least in play. 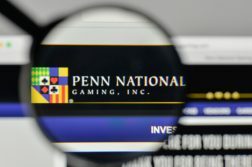 There may also be restrictions that would limit players to in-person signups for mobile app and online wagering, as Pennsylvania casinos (particularly Parx Casino and Penn National) are overly protective of their brands. Stifling the online sports betting industry will prove particularly damaging, as it’s by far the bigger revenue generator. A recent report by Gambling Compliance estimates online bets will generate $309.4 million in GGR per year, versus just $73.9 million for land based. Sports betting does not make or break a casino industry; it never has. Even in a bullish scenario, PA will take in roughly $400 million per year for the vertical, compared to over $3.2 billion (2017) for casino games — a hefty increase for sure, but not game changing. That being said, sports betting is a driver to other parts of the casino. One need not look further than Las Vegas around Super Bowl time or on fight weekend to realize that. So the potential is at least there for PA land-based casinos to drastically increase their slot and table games numbers. Non-gaming revenue, such as spend on food & beverage, could also increase dramatically. Thus, it’s in lawmakers best interest not to hamstring the industry. That doesn’t necessarily mean it has to roll out tomorrow, as the first-mover advantage is widely exaggerated. But it does mean that the industry has to be set up properly, with fees, taxes and regulations that encourage growth and keep earnings in Pennsylvania, all while driving increased tourism. 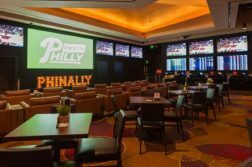 Even in an inhospitable environment, Pennsylvania sports betting should still do all right — the state’s large population, plethora of sports teams and heavy concentration of casinos in the Philly and Pittsburgh area all but guarantee that. But managing and thriving are two different things.